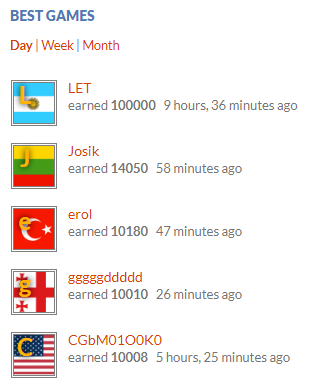 GGGGGDDDDD from Georgia is the best player of the day! gggggddddd from Georgia earned 15,268 points and became the best player of the day! 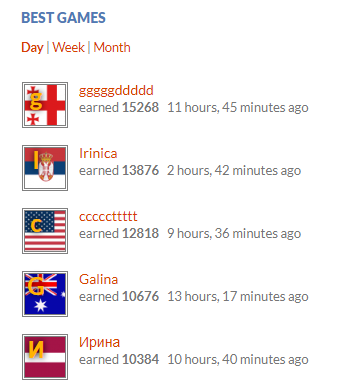 Other players from Serbia, USA, Australia and Latvia are among the top five players of the day. 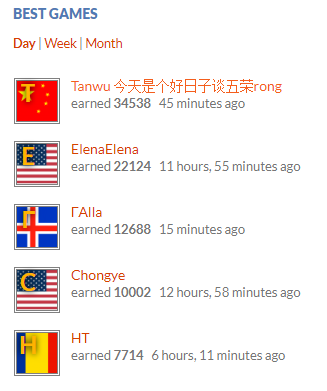 Tanwu 今天是个好日子谈五荣rong earned 34,538 points. This is the highest score today! Players from U.S., Iceland and Romania are also among top five players of the day. 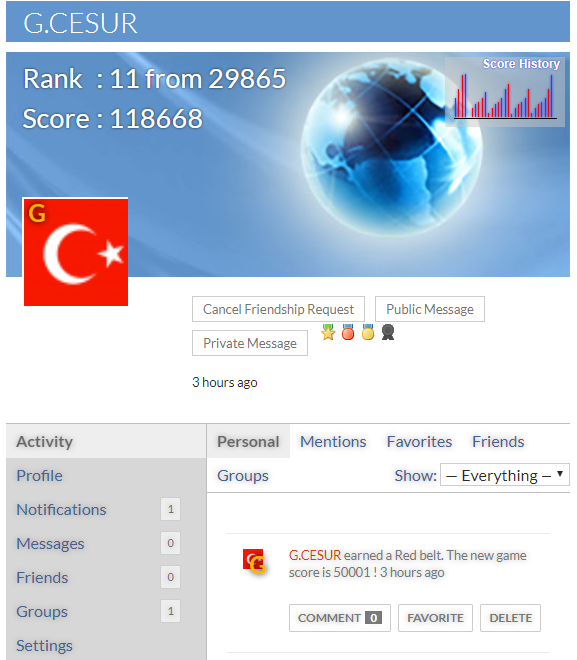 G.CESUR from Turkey earned 50,001 points and became the best player of the day. There are Belgium, U.S., Romania and Ukraine are among the top five players of the day. LET from Argentina earned 100,000 and became the best player of the day. LET is already among the top ten players in 2018 with a score of 165,284. LET de Argentina ganó 100.000 y se convirtió en el mejor jugador del día. 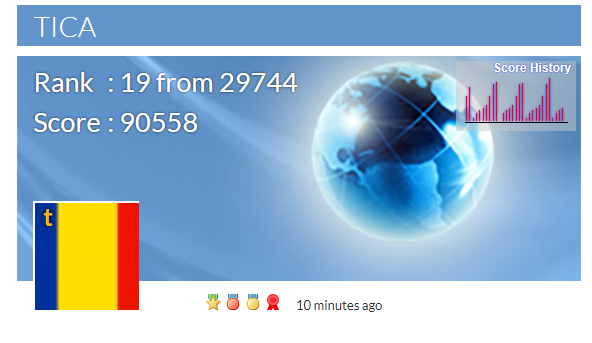 tica from Romania earned 90,558 points and became the best player of the day! are among top five players of the day. 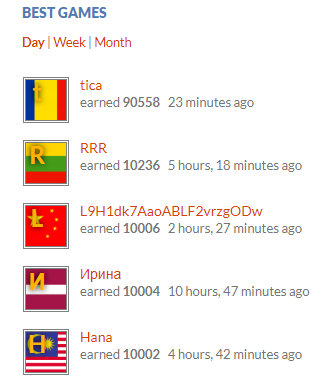 tica din România a câștigat 90.558 de puncte și a devenit cel mai bun jucător al zilei! 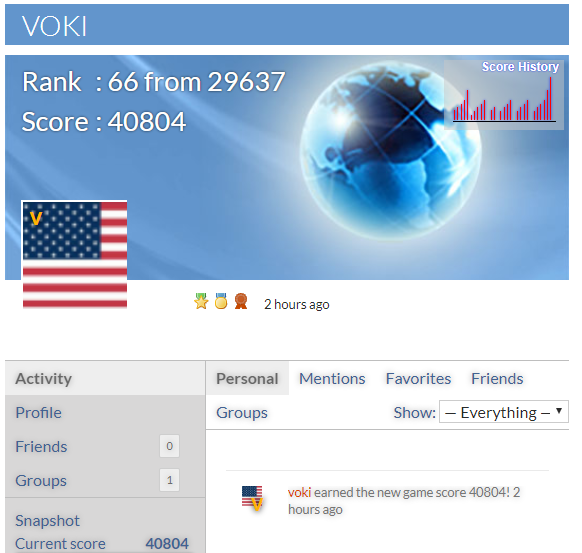 Player “voki” from the United States earned 40,804 points and became the best player of the day! 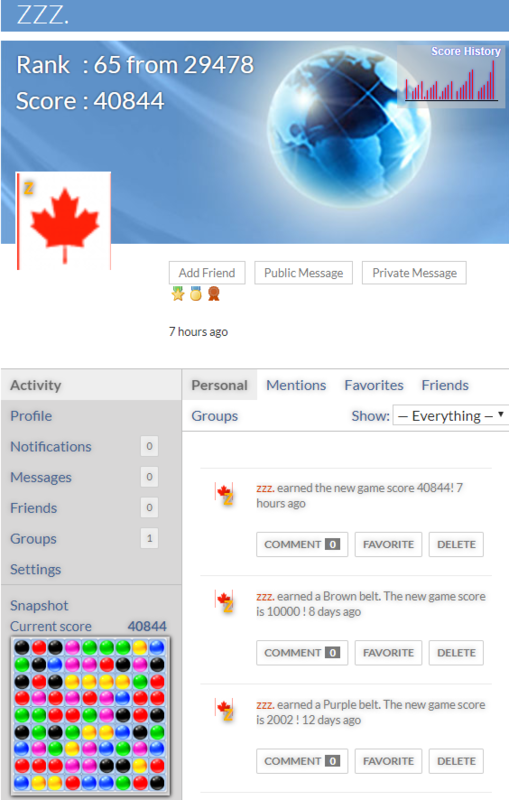 Player from Canada “zzz.” earned 40,844 points and became the best player of the day. Congratulations!